Lucille Joanne Burns, 80, of Concordia at Cabot, formerly of Kittanning, went to be with the Lord on Sunday, December 2, 2018 at Allegheny General Hospital, surrounded by her family. She was born October 19, 1938 in Templeton, the daughter of the late Raymond I. and Dorothy C. (Cochran) Bonnett. Lucille graduated from Kittanning High School in 1956 and went on to work at the 5 & Dime on Market Street and later Thrift Drug. She also worked for 25 years at ACMH in housekeeping. As a hard working woman, Lucille also found time to raise her children and assist in raising her grandchildren and great-grandchildren. Lucille's greatest joy in life was spending time with her family, especially weekends, with her beloved grandchildren, Cypress, Brennan, Jaiden, Breauna, and her "grand-puppy" Riley. An avid Pittsburgh sports fan, Lucy would watch the Pirates, Steelers, and Penguins anytime they were on, while cheering on her favorite players. She enjoyed going to the Kozy Kafe and Dizzy Lizzy's for lunch with Cypress, and dinners with Brennan and Jaiden. She also spent time doing activities at Concordia, and liked getting her nails done by Debbie. A devout prayer warrior, Lucille loved going to church and learning at bible study. Over the years, Lucille attended the First Church of the Nazarene, Living Water, and, later in life, Simpson Bible Church. She prayed for whom she came in contact with, which is how she showed her faithful servant's heart and her love for Christ. 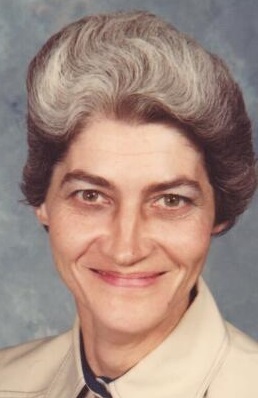 Lucille firmly believed that "if the Lord brought you to it, the Lord would bring you through it." Faithful in all things, She kept her focus on God while seeking strength in hard times. Lucille is survived by her daughters, Donna (Gino) Webb and Dixie Smith, and son, Cory (Char) Burns, all of Kittanning; grandson, Rev. Joshua (Jennifer) Webb, and granddaughter, Amber Warren (James Hiler); great-grandchildren, Cypress Webb, Brennan Hiler, Jaiden Hiler, and Breauna Aungst; brothers, James Bonnett, of Clyde, OH, John (Darlene) Bonnett, of Kittanning; sisters, Madge (Albert) Walleck, of Ford City, Geraldine Craig, of Oak Grove, Kentucky, and Peggy McElroy, of East Brady; sisters-in-law, Margie Bonnett and Ruth Burns; and numerous nieces and nephews. She was preceded in death by her husband of 39 years, Robert G. Burns; maternal grandparents, Charles and Olive 'Bahme' Cochran; parents, Raymond and Dorothy Bonnett; brother, Richard Bonnett; and sisters, Betty Dickey, Alice Goldstrom, and Helen Clever. A memorial service in honor of Lucille will be held at 2 p.m. on Saturday, December 15, 2018 at Simpson Bible Church, 505 Simpson Church Road, Kittanning, Pa., with Rev. Fred Kison officiating.